Kind of a Roman thing I came to realize. What’s different than most you’ve seen in the states is they use the whole damn pig. That’s why they are so damn big. I think these are closest to a Shwarma joint in that they start the day with a giant piece of meat and slowly slice it back into a tiny nub of swine. A good shop can go through 1 plus of these debones and re wrapped porkers a day. This one was spotted in Piazza Navona. Probably not the best Rome has to offer since Navona is one of the most touristed places in Rome. 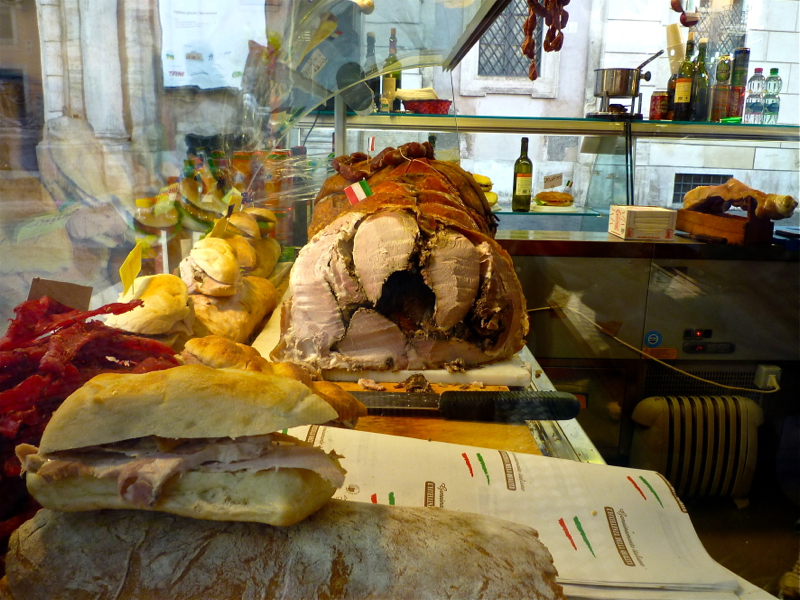 If you follow Bourdain, he’ll tell you to go to I Porchettoni far away from the tourists.